Oriental rugs are known for their brilliant colors and incredible patterns. Ranging from bold and aggressive to delicate and understated, these rugs can become valuable family heirlooms. The most valuable oriental rugs are those that are hand knotted. The skills required to make them are passed down through generations, and hand-knotted rugs are more valuable than any machine-made carpet. Hand-knotted rugs are easily recognized because the amazing design is just as brilliant and beautiful on the back as it is on the front. Clean these incredible rugs with care to ensure that they maintain their vibrant color and stunning patterns for years to come. You know that the sun can fade the paint on your car and dry your plants out in the summer. You may not realize that it can also destroy the upholstery and fabrics inside your home. Streaming in through windows, it can fade your beautiful hand knotted rug or make the yarn brittle and dry. Keep your rugs out of direct sunlight by investing in sheers for the windows, keeping the blinds shut against direct sun or simply positioning your rug where it won’t be struck by the sun’s rays. Preserve your rug and keep it looking great by rotating it regularly. If part of your rug is in the sun, this will keep damage at bay. It will also ensure that you have nice, even traffic patterns on your rug for even wear and prolonged life. Moving the rug around forces the traffic pattern to change, and repositioning furniture will also create a new traffic pattern for your rug. Moving the furniture around ensures that you don’t have crushed areas from furniture legs, and it helps you create new traffic patterns for even wear. Not only will you prolong the life of your rug by following this simple step, but you will also love how fresh the room looks every time you rearrange items. Some vacuums come with the option to shut down the beater bar. These are ideal for hardwood floors, and they are the perfect choice for your hand knotted Oriental rug. Shut down the bar and vacuum the rug regularly with suction only. You will avoid grabbing loose threads, and bare spots will not be aggravated. 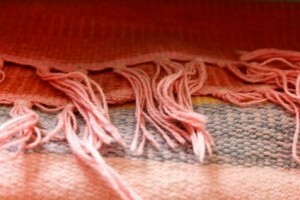 More importantly, you will still remove the loose dirt and dust that wears the threads and causes those bare spots. Restore the vibrant colors and ensure that your rug is clean by investing in professional restoration services. Teams that are skilled in restoring hand knotted Oriental rugs have the right chemicals, machines and skills necessary to do this safely. They won’t damage your rug, and you will once again enjoy the brilliant colors and crisp transitions that made you fall in love with the carpet in the first place. They can treat most stains, but you should call for service as quickly as possible once you have blotted up the offending liquid. Removing ground in dirt and clearing out debris your vacuum missed, they will leave your carpets looking incredible. Your Oriental rugs are an investment, particularly if they are hand-knotted and extremely valuable. Protect them by taking care of them in your home and investing in regular restoration services. Contact High Quality Carpet Cleaning today, through our online form or by calling us at 732.400.5255, to discover what we can do for the Oriental rugs in your home. Allow us to help you preserve and maintain their exotic beauty and longevity.